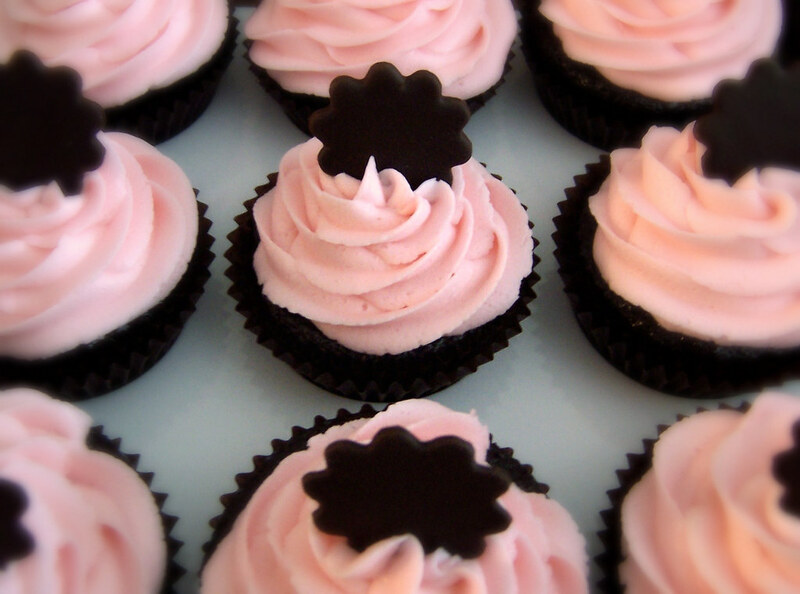 These cupcakes are by Caketopia of Fort Wayne, Indiana, via their Flickr account. They're being sold at local farmer's markets, there's more info on their site. 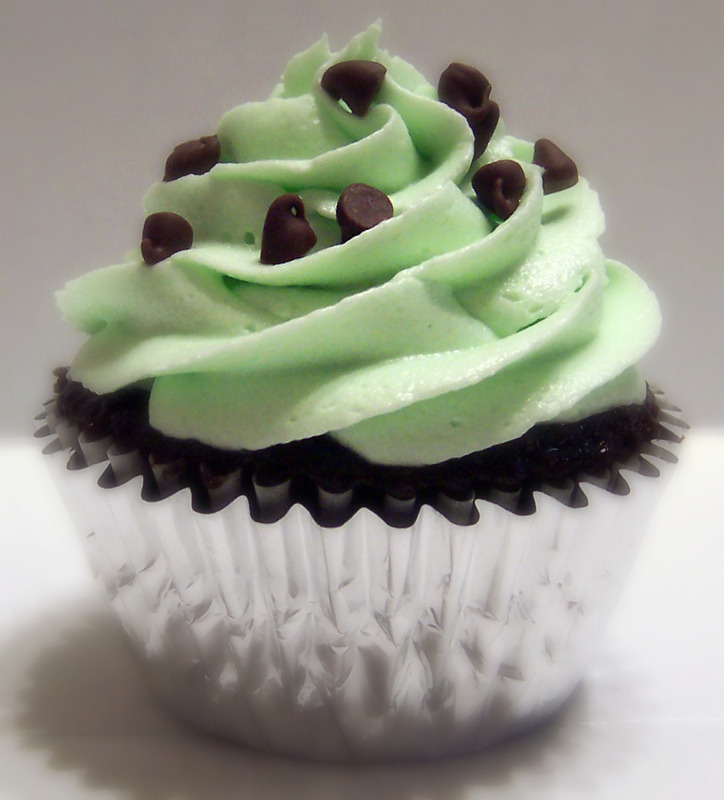 I like the art of the frosting swirl here, and how colorful they are. Each one alone stands out, and together they look dynamic. I don't think I'll ever get to taste them, but I will definitely be checking their Flickr account for more and if anyone's in Fort Wayne, please let us know if they taste as good as they look! S'mores! 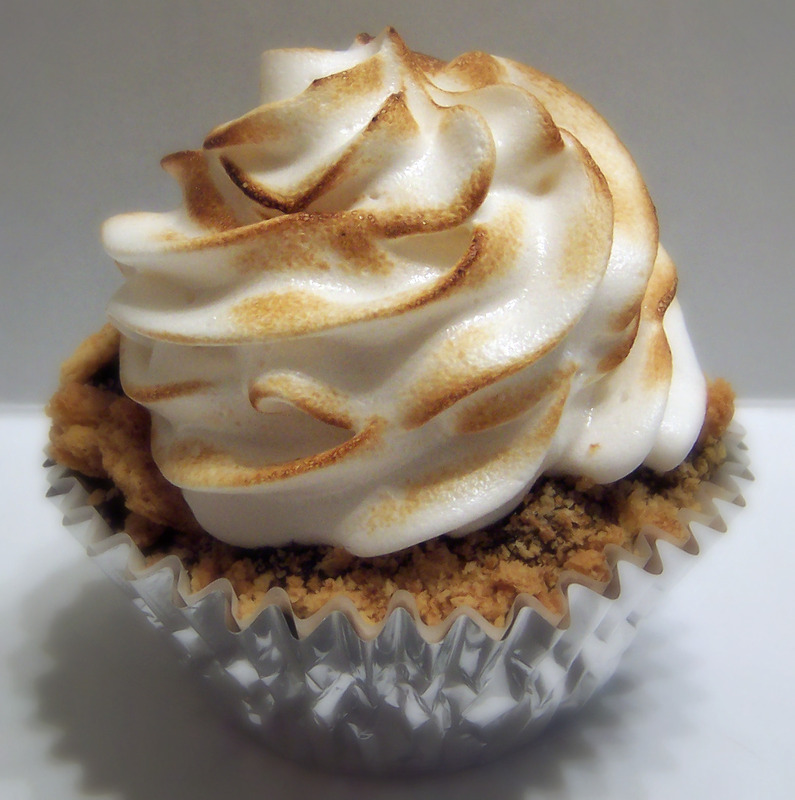 Graham crackers and Hershey's chocolate baked into a chocolate fudge cake, then topped with a toasted marshmallow icing. 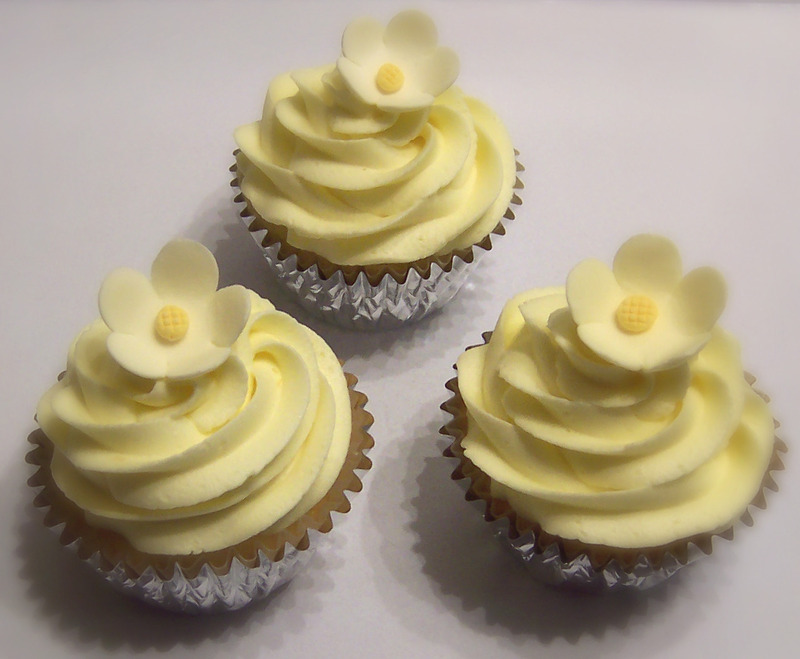 Fresh lemon cupcakes: Vanilla cake filled with lemon curd and then iced with freshly squeezed lemon buttercream. 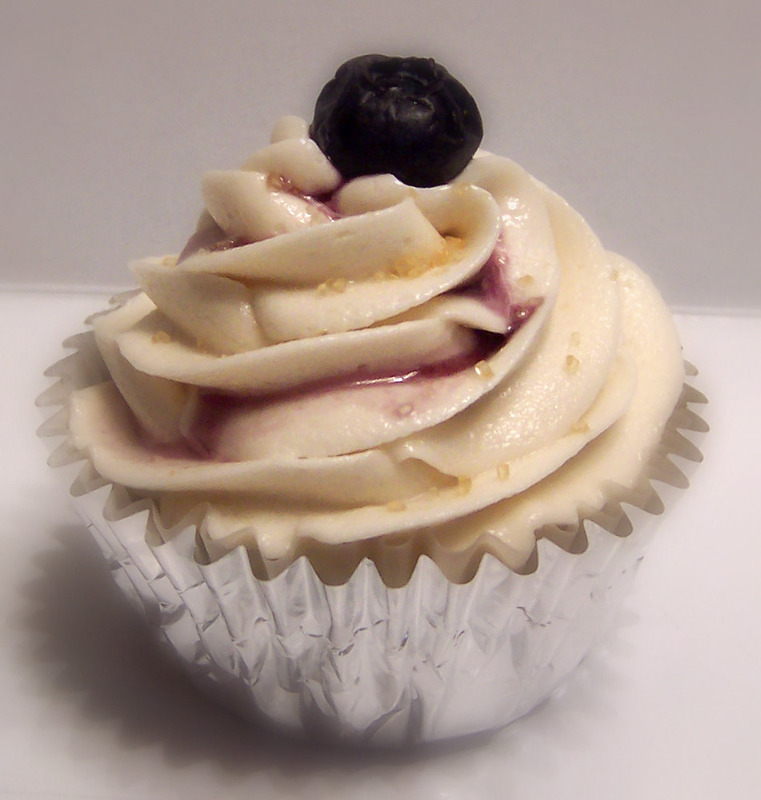 Blueberry buttermilk cake iced with a maple buttercream with raw sugar sprinkles and a blueberry. These all look so pretty! 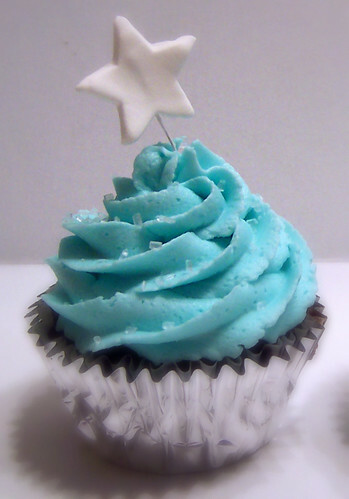 The vanilla one with the blue frosting and white star really caught my attention!